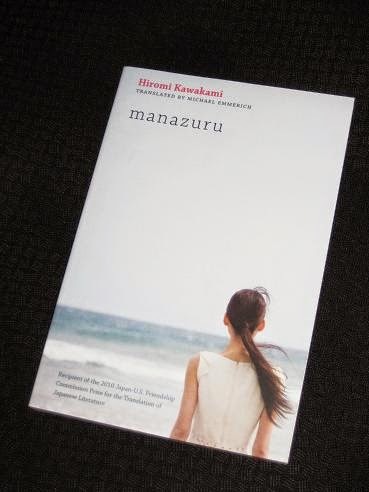 Hiromi Kawakami’s Manazuru (translated by Michael Emmerich) is centred on Kei, a middle-aged woman living with her daughter, Momo, and her mother back in the family home. Twelve years ago, her husband, Rei, vanished without a word, and while her life has stabilised to a certain extent, thanks in part to a relationship with a married man, she certainly has a lot of unfinished business. 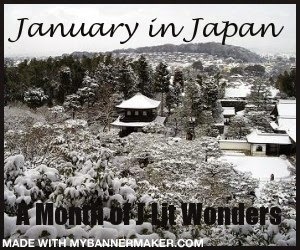 Kawakami is well known for her novel The Briefcase (AKA Strange Weather in Tokyo), and for those who have already tried that one, Manazuru may come as a bit of a surprise. It’s certainly a little darker and edgier, with a more surreal style in parts than The Briefcase. Of course, with only the two novels out in English, who’s to say which is the more representative of her style. The main theme explored in the novel is that of letting go and finding closure. Kei, understandably, was shattered by Rei’s disappearance, and you get the sense that her daughter and her mother have been tip-toeing around her for a long time – only now are questions being asked about Rei, and the couple’s life together. Through fleeting glimpses of a diary in which we see random messages, and Kei’s flashbacks to Rei’s (imagined) affair, we start to piece together what actually happened. The truth is, though, that we are just as confused as Kei herself is. With Momo going though her teens, Kei is trying to hold onto her daughter’s love, regretting the loss of the closeness they once shared. Only gradually does she realise that her mother feels the same way about her. “I notice, suddenly, that there is no sound at all. It’s in this other realm that she hopes to finally find out what happened to Rei – but is he even there? What if her trips to the coast are all a big mistake? Manazuru is a book I enjoyed a lot the first time around. It has a subtle style, written in short, clipped sentences, with a cinematic air to the whole story. In typically Japanese fashion, you sense that the important information remains unspoken, with much lying beneath the surface. Each of the main characters, while generally acting calmly, were adrift in a sea of emotions: Kei’s rage at Rei’s disappearance; Momo’s hurt and desperation; the Mother’s fury at her son-in-law and desire to help her daughter; and Seiji’s hidden desire to get closer to Kei. However, when I looked at other’s comments, not everyone seems to have enjoyed it as much as I did, and on a second reading, a few weeks later, it did appear a little less appealing. The language was more troublesome on the second attempt – deliberately short and confronting, the spiky sentences sometimes get in the way of the reading. I also found Kei a little more annoying at times, and knowing where we were going, I actually found the story a little too vague this time around. Most readers will prefer The Briefcase, but this is still a good read, one I’d recommend (particularly if you like the understated variety of J-Lit). If you want to see what others thought, check out the dedicated page over at the JiJ blog, and if that’s not incentive enough, I’ve got a few surprises for you. Kawakami may only have two novels translated into English, but the page does have a few other bits and pieces I’ve managed to dig up. –would be a selling point for me! Tony, I would have read this had I not been in the middle of my #TBR20 (I tried the library but sadly it wasn't available). As you know, I loved Strange Weather and the edginess you mention here really appeals to me. A good look about the way supernatural is omi present in Kawakami’s book !